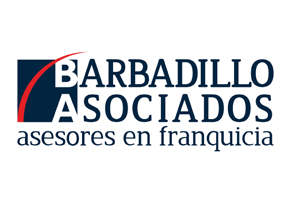 Barbadillo y Asociados is the company with the longest and deepest experience in franchise consultancy market in Spain. With 25 years experience in this sector, ByA has developed hundreds of franchise projects and recruited thousands of franchisees within all activity sectors. As a complementary activity to franchise consultancy, ByA develops communication, training and publishing services for their clients, including the Annual Spanish Franchise Guide. Barbadillo y Asociados is a founding member of Spanish Franchie Association and the main reference in Spanish franchise market. – Leader in franchise consultancy in Spain. – Comprehensive services from the initial franchise project design to networks expansion and communication, both at national and international level. – Full dedication and personalized attention through highly specialized staff in several disciplines (consultancy, marketing, leads recruitment, graphic design…) with more than 12 years expereince in average. – Adaptability to clients’ specific needs and demands. Santiago Barbadillo, managing director and founder of Barbadillo y Asociados, counts with a wide and deep experience in franchising, initiating his activity in this field at the end of the 80’s in National Westminster Bank. In 1998, he set up the first franchise department in the Spanish banking system at Banco NatWest in Madrid. At the beginning of the 90’s he initiated his activity as franchise consultant, creating Barbadillo y Asociados. He is the author of several books, including La Franquicia paso a paso and Invirtiendo en franquicia and also a regular speaker in courses, seminaries and workshops.